BioNapkins are made with FSC® certified pulp and are certifed carbon neutral. Custom printing available. 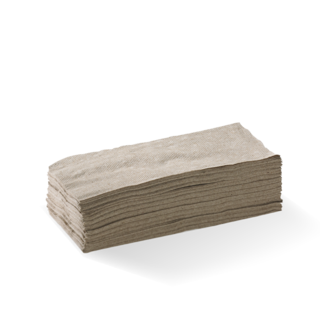 Rest assured BioPak napkins are the most environmentally sustainable option on the market – they are made with FSC® certified pulp and are certified carbon neutral. 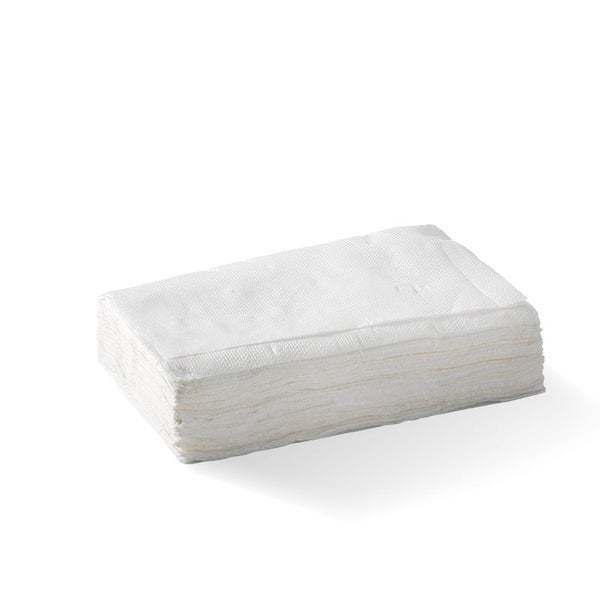 Napkins come in several sizes, each size tailored to a specific use. A beverage napkin, used when serving drinks and hors d’oeuvres,like most cloth napkins, is square, about thirteen centimeters to each side. 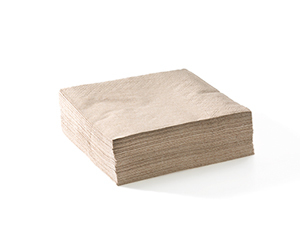 A luncheon napkin is a couple of inches larger, and a dinner napkin larger still. The theory, evidently, is that the more food and drink that is served, the more potential there is for spillage, so the bigger the napkin must be to catch it. 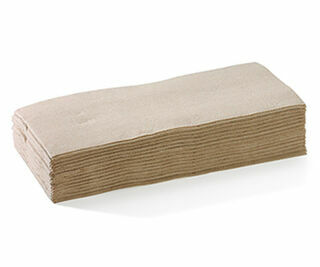 - Made from FSC certified pulp. - Select from white or natural colours. 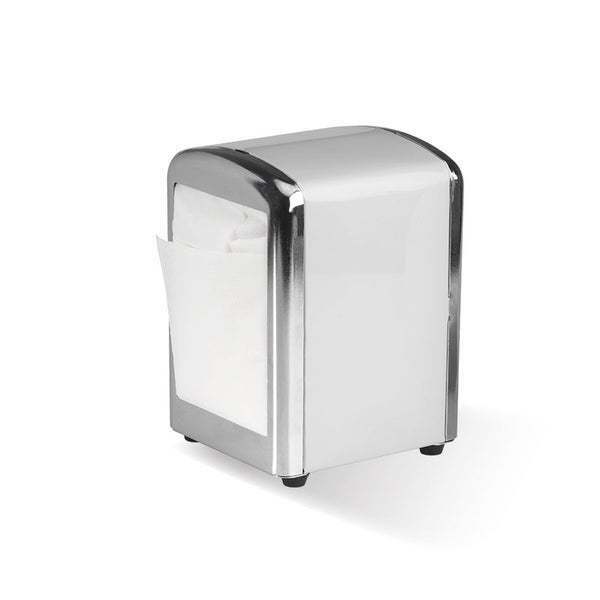 -Our dispenser design ensures patrons use fewer napkins and touch only the napkins they use. -Our Tall/Compact BioDispenser takes x250 Tall or Compact BioNapkins. Dispenser and napkins sold separately. 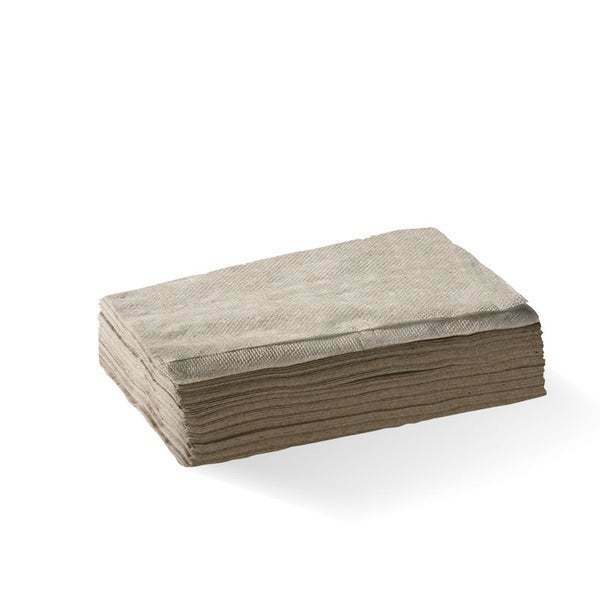 -Customise your napkins (minimum order quantities apply). Each Dispenser holds 250 Tall/Compact BioNapkins. BioNapkins are made with FSC® certified pulp and are certified carbon neutral. This dispenser fits our Single Saver BioNapkins, available in white and natural colours. 2 Ply Corner Embossed Cocktail Napkin. - Select from white, natural or black colours. 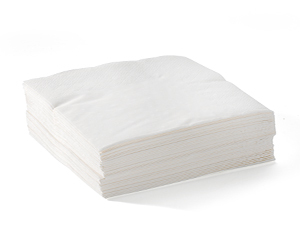 2 Ply 1/4 Fold Corner Embossed Dinner Napkin. 2 Ply 1/8 Fold Dinner Napkin. 2 Ply 1/8 Fold Quilted Dinner Napkin. 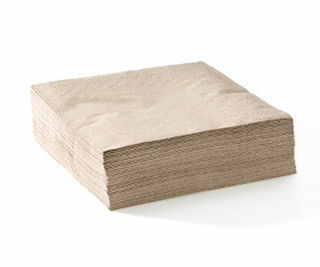 1 Ply 1/4 Fold Lunch Napkin. 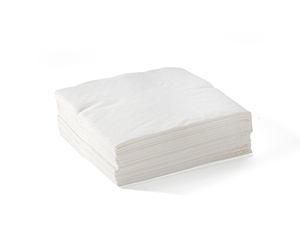 2 Ply 1/4 Fold Lunch Napkin. 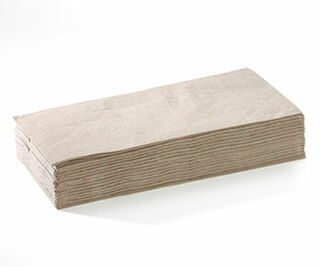 2 Ply 1/8 Fold Lunch Napkin. 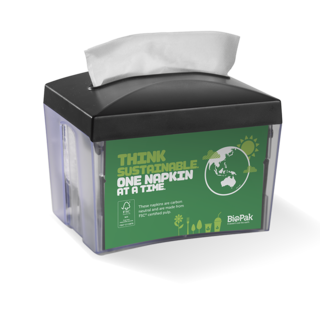 Rest assured BioPak napkins are the most environmentally sustainable option on the market – they are made with FSC® certified pulp and are certified carbon neutral. 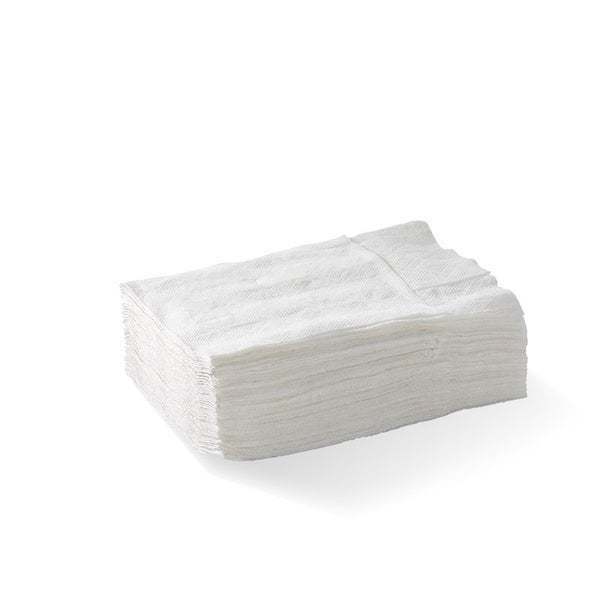 Napkins come in several sizes, each size tailored to a specific use. 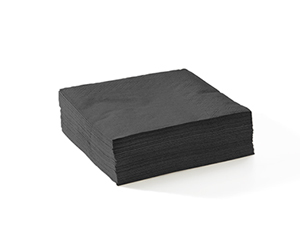 A beverage napkin, used when serving drinks and hors d’oeuvres,like most cloth napkins, is square, about thirteen centimeters to each side. 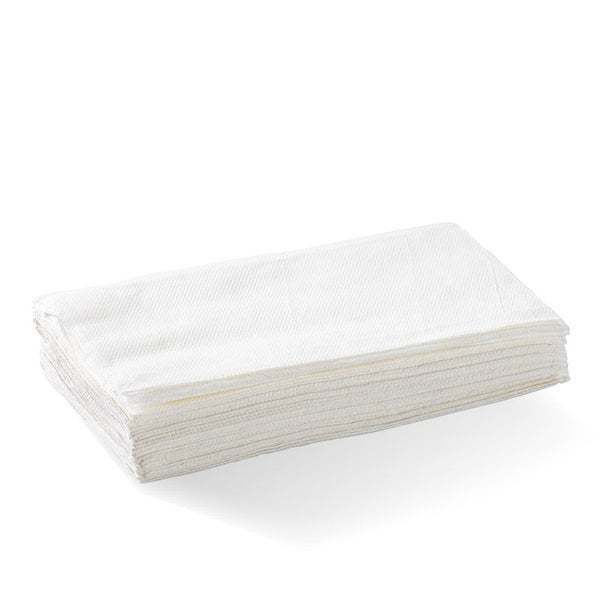 A luncheon napkin is a couple of inches larger, and a dinner napkin larger still. The theory, evidently, is that the more food and drink that is served, the more potential there is for spillage, so the bigger the napkin must be to catch it. Our one napkin at a time Single Saver BioDispenser provide up to a 50% reduction in usage. These dispensers have been designed to allow you the option of inserting a card with your brand and message to the customer on the sides. -Our Single Saver BioDispenser takes x250 Single Saver BioNapkins. Dispenser and napkins sold separately.